The model collects nost clinical pathological cardiopulmonary sounds. 1. 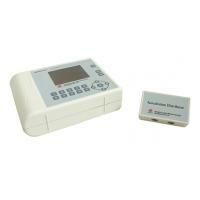 Collects most clinical pathological heart sounds and lung sounds. 2. 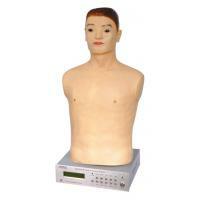 Suitable for wearing, and it can be worn on the manikin or students. Teachers can choose different pathological cardiopulmonary sounds. 3. by auscultation controller to help the students to diagnose by comparison. 4. 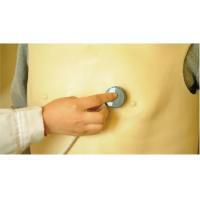 Several auscultation points of heart sounds & lung sounds are equipped in the front chest, back & midaxillary line, etc. of the vest. 5. Choose different heart sounds and lung sounds by controller and begin the auscultation practice. Step1:When you receive the goods, please inspection in detail within one week. If any problems, please claim it immediately. we will analyze and work out the best solution to satisfy you within one working day. Step3: Offer technical assistance or send the replacement parts. Step4: Chase the claims solution until you are fully satisfied. Warranty Time : One year after your receiving the products. 1. Who is Honglian ? Shanghai Honglian Medical Instrument Development Co., Ltd with its brand (General Doctor ) were founded in 1993 in Shanghai China for designing and manufacturing High Tech of Medical Teaching Equipment, in order to improve the Medical Education at Higher and Medical Education levels and facilities. Honglian products are widely exported throughout more than 90 countries over world and in China we already owned lots of tenders with UNFPA and other famous International organizations. Technology Teaching Units as all this technology are 100% belongs to us. - We are in possession of several Quality Certificates. - Please, see our WEB Site: www.honglian8.com where you can see most of our production range. - All designs we manufacture them in our factories in Shanghai(China). 2. What HongLian can offer? - A complete “Medical” Teaching Training Centre. - Equip most of the laboratories in all Medical Units in Medical Universities / Colleges / Medical Training Centre. 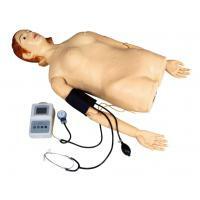 - High technology an emergency training manikin, physical examination training simulator, Clinical training Simulator, Nursing Skills Training simulator, maternal and infant training simulator, human systems anatomical model, Stomatology training model, first aid equipment and facility.